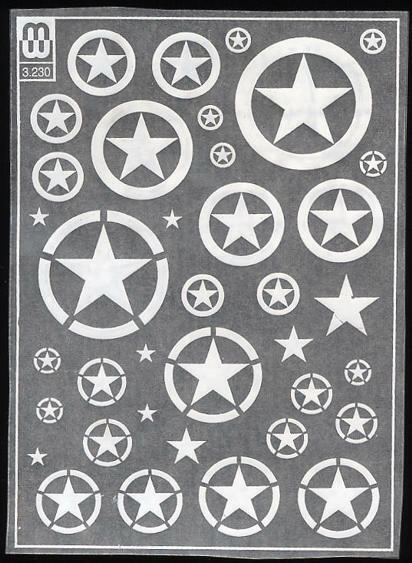 In the set we get one sheet (8.5mm x 11.5mm) of dry transfers of white stars as used on the US and Allied armor and softskins during the World War 2. 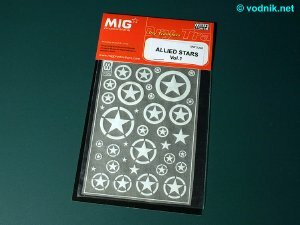 The sheet comes packed in a plastic zip-bad stapled to a cardboard "flap", with generic instructions of application of transfers on nine color photos (showing different transfer set though) but no information about proper placement of white stars on vehicles. 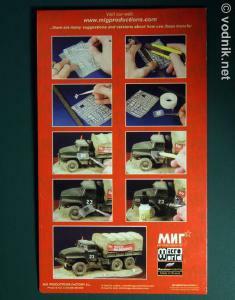 This means that modeler must use some other references to properly apply markings to the model. On the sheet we get 37 stars in three types and various sizes. Included are 14 stars in full circles (not stencil type) in seven sizes, 15 stars in stencil type circles in seven sizes and finally eight stars without circles - in three sizes. 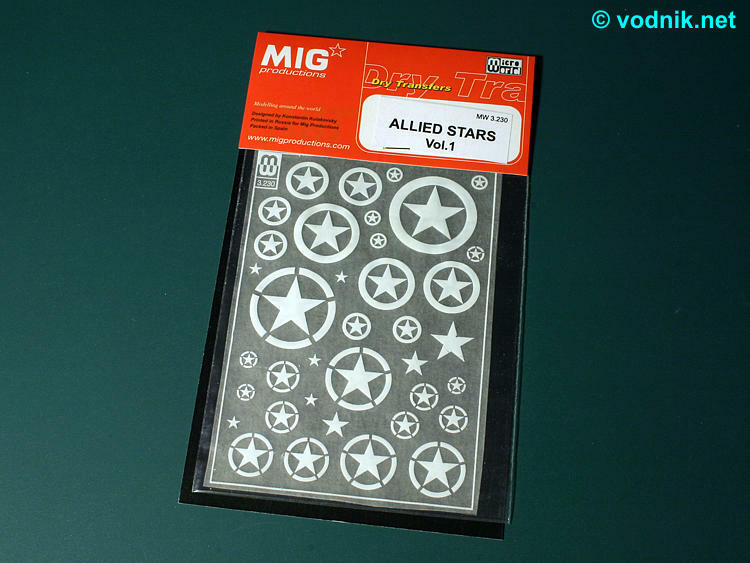 Star symbols are well printed and some minor irregularities only enhance the authenticity of markings. 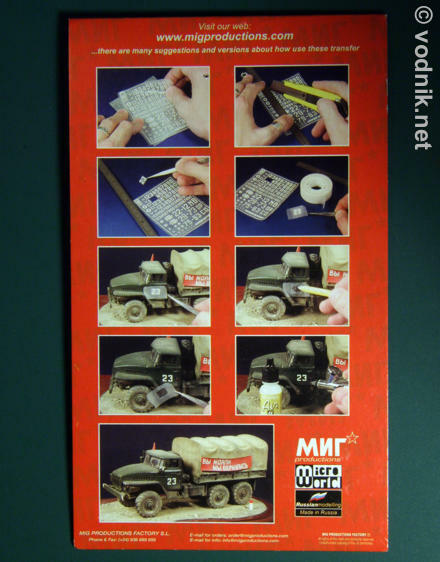 This generic Allied markings set is very versatile and dry transfers once properly applied should look much better than regular water-slide decals.